Since 2009, I have been regularly investing in mutual funds (MFs) through systematic investment plans and have also put lump sum amounts in some of them. As of today, I have eight MFs. I want to know what are the capital gains charges applicable for MFs. Is it long term or short term? What is the tax amount and how is it calculated? If the units of MFs are held for less than 12 months before the date of transfer, then they shall be treated as a short-term capital asset and the gains arising therefrom shall be taxable at the rate of 30%, excluding education cess. Short-term capital gains shall also be computed by deducting the cost of acquisition and expenses on sale from the sale price. However, if the units of an equity-oriented fund are sold through a recognized stock exchange and securities transaction tax is payable on such sale, then long-term capital gains arising therefrom shall be exempt from tax under section 10(38) of the Act. If the gain made is in the nature of a short-term capital gains, the same shall be taxable at the rate of 15%, excluding education cess. I am a salaried professional. I wish to gift cash to my parents who are senior citizens and my two siblings. I want to know whether there are any tax implications for the receiver and the giver? Would it be better to give cash or make investments in their name? 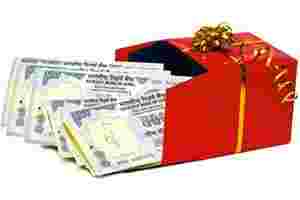 As per the Income-tax Act, there are no tax implications on the person giving cash as gift. Further, section 56 of the Act provides that any gift (including cash) received from a relative is not taxable in the hands of the receiver. The term “relatives", according to the definition provided under the Act, includes parents and siblings as well. So, in your case, there would be no tax implication.